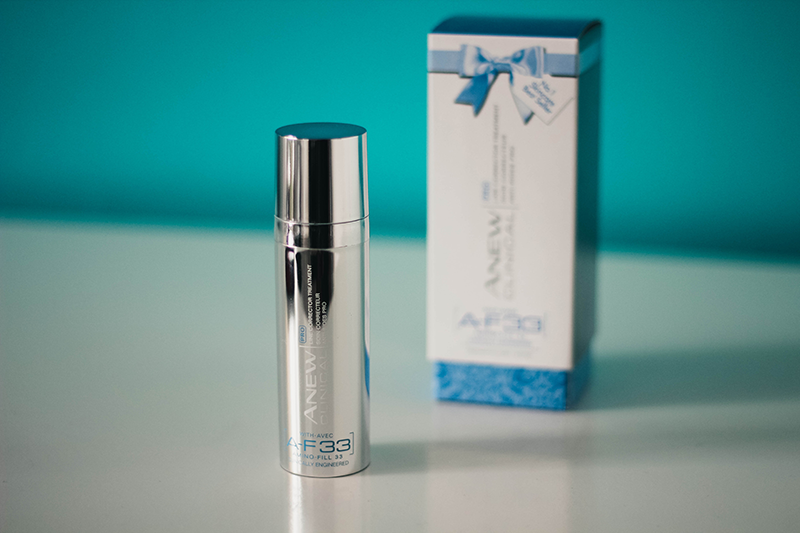 Last year saw the release of AVON's Anew Clinical PRO Line Corrector Treatment with the miracle ingredients of A-F33 which stands for Amino Fill 33. It's since become their best selling product and for the one year anniversary today they've got a limited edition packaging to celebrate their revolutionary product. So at 25, I'm lucky to have no wrinkles, *phew* (stay away from meth ladies, does hideous things to your skin from a young age) so when I was sent this untold of what was in store, it came in a huge box that featured a balloon from Bubblegum Balloons in the Anew shades - unfortunately ladies when you purchase this item, the balloon doesn't come too! Womp, womp, womp! O.K. so I have no wrinkles, my mum is wrinkle free and my grandmother practically is too but she was a sport and decided to trial it for the sake of my pouting, (un)fortunately, I know hardly anyone with wrinkles, call it good genetics. The one thing she can feedback on is that her skin felt a bit firmer. Who doesn't want firmer skin. The few lines around her mouth were slightly smaller in appearance but nothing drastic. Those lines we don't see unless she's smiling but I think the fact she saw a slight improvement is better than nothing at all. Sorry I can't sing home about the product with tambourines and a song a dance. So for those interested what is this Amino Fill 33? Amino Fill 33 is a modified protein, we begin to lose the collagen as we start to age (argh!) Therefore we lose the firmness we've been accustomed too with our skin and fine lines and wrinkles appear. We sometimes lose the collagen due to the failure of immature collagen strands that properly bond together. Amino Fill 33 stimulates this process, unblocking the failure bonds and gives us more of a youthful appearance. It's become a best seller so that Amino Fill 33 must be working - Right? So AVON you've been around for a long time, if my genes fail, I know to listen for that ring and hear 'AVON calling!' so I can order mine or give me a year and when the stress gets to the skin, I'll be reviewing the range myself. I'd love to know if you've known someone who has used this or even maybe you have? What did they/you think? Oh this sounds perfect for my mum shes always complaining about lines round her lips and how her lipstick always bleeds. Thanks hun!